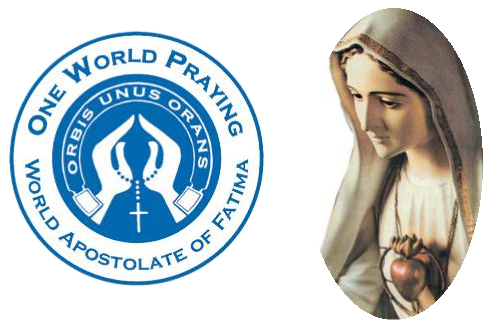 The “World Apostolate of Fatima” (WAF) was founded in 1947 as “The Blue Army of Our Lady of Fatima”, by Fr. Harold Colgan and Mr. John Haffert, in New Jersey, USA. Its name was meant to suggest a Catholic spiritual response to “The Red Army” of the atheistic Soviet Union. Since its foundation it has become a worldwide movement of some 20 million members in at least 100 countries. Its present International Secretariat resides in Fatima, Portugal. After five years probation, WAF has received permanent approval on October7th, 2010, by a Decree of the Pontifical Council for the Laity. This Decree erects the Apostolate as a “public association of the faithful, with a juridical personality”, and its statutes have been definitely approved. 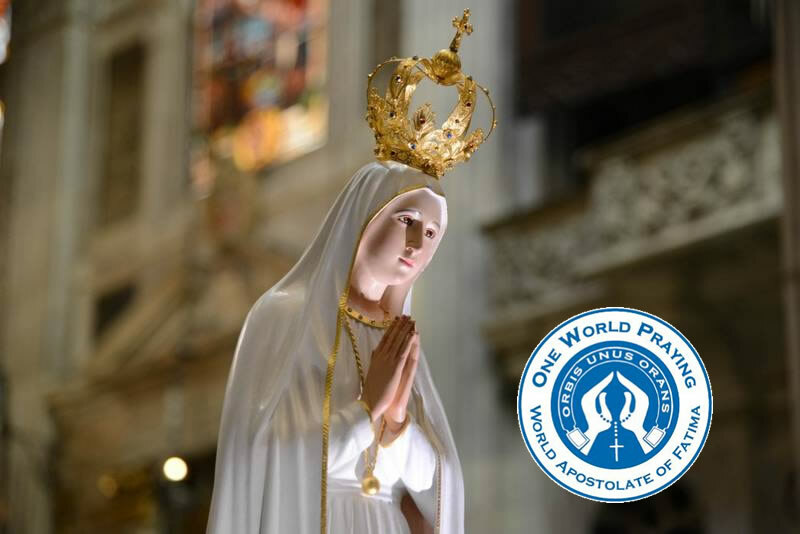 WAF is intended to be an instrument of personal sanctification of its members, learning and living the messages of the 1917 six apparitions of Our Lady at Fatima to the three shepherd children, and trying to spread this message everywhere. Thus the Apostolate exists to serve the Church in the ways Our Lady has requested at Fatima. It also shares the “new evangelisation” proposed by Popes John Paul II and Benedict XVI. The Decree of October 7th 2010 states that members of WAF should commit themselves to faithfully witness to the Catholic Faith, in their home life, at work, and in their parishes and communities, thus sharing in the new evangelisation. 4 – Observe the Five First Saturdays devotion as requested by Our Lady of Fatima. Pledges are sent to the International Secretariat at Fatima and buried near the site (Cova Da Iria) where Our Lady appeared five times to the children shepherds. e) For the harm done to children by teaching them to despise or even hate our Heavenly Mother. Speakers included the present and retired Bishops of Leiria-Fatima, the present and retired Rectors of the Fatima Shrine, Messrs. Carollo and LaCorte of the USA WAF, and Fr. Andrew Apostoli, CFR, regularly seen on the EWTN TV channel. Further information is available through the web/e-mail address www.wafusa.org and also info@worldfatima.com. We may remember here that the source of our present WAF was the USA “Blue Army of Our Lady of Fatima”, implying that we might pay attention to activities of the present USA WAF, as possible guidelines to us all. 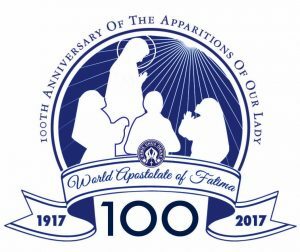 The World Apostolate of Fatima has existed in Ireland for many years, having the Bishop of Galway as its National Patron. We have a summary description on page 283 of the Archdiocese of Dublin Diocesan Guidebook 2011, with a similar description in previous Guidebook issues. 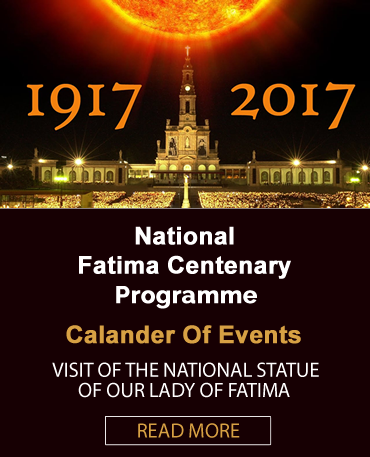 Our national website is www.fatima.ie for background information, and our National Secretary Mr. Chris Rush has e-mail address chrisrush2010@gmail.com. On Sunday 10th July 2011 we have our next annual national pilgrimage to Knock Shrine.